How did we get to November 2015 already? It's difficult for me to wrap my head around the fact that the holidays are just around the corner. Even though I am reminded every day as I plan trips for our members to warm weather destinations from December through April, I'm still in deep denial. As I watch each leaf fall outside my office window, the realization that barren trees and that four letter word (s***) is quickly approaching unnerves me. It's not just the cold winter weather, it's that time is so fleeting! Funny, our 17 year old daughter can't wait for time to pass. 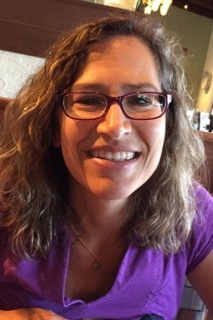 She is ready to find that college where she can start a new chapter of her life and move on. Despite my melancholy ramblings, we actually have a great newsletter for you this month! Due to enormous interest lately in Peru, we focus on the different regions of this fascinating country in our section, "Break It Down." 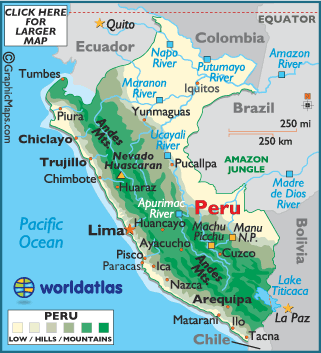 Peru is not just about Macchu Picchu anymore! Other topics we cover this month are seeing the Northern Lights in Iceland, the blue-footed boobies in the Galapagos, and the best places to stay in the largest ski area in the US. Holiday gift giving season is upon us. We are happy to announce that this year, if you purchase a new membership for a loved one or friends, half of the $60 cost will go toward the charity, Classroom in the Clouds. They are doing incredible work rebuilding schools in areas affected by the earthquake six months ago in Nepal. So, forget a trip to the mall for some gift that will collect dust! Give the gift of travel and help children and their teachers in Nepal at the same time. Enjoy reading and happy travels! The Land of the Incas offers the legendary archaeological wonder of Machu Picchu, 29 peaks over 16,000 feet in the Andes, more than 1700 species of birds in the Amazon, and indigenous populations still found around Lake Titicaca. Yet, the latest surge of travel to Peru seems centered on the growing culinary scene in Lima, which rivals Buenos Aires as the best in South America. Plan on spending at least 10 days, including international flights to visit Lima, Cusco, The Sacred Valley, and Machu Picchu. 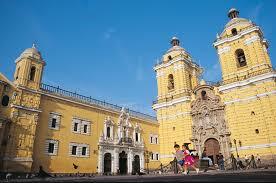 Add another 4 days if you want to add on the Amazon, Lake Titicaca, or the fascinating White City of Arequipa. Abercrombie & Kent, Thomson Family Adventures, and Austin Adventures are just a few of the recommended outfitters that feature organized trips to the country. We also work with a wonderful Peruvian ground operator, Peru Empire, which custom-designs trips for clients based on interests. Either way, we know how to get you there! The capital of gastronomy combines top-tier restaurants with old world glamour. Highlights include the Museo Larco, housing the largest private collection of pre-Columbian art in the world; and the yellow and white 17th-century Convent of Saint Francis, one of the most striking of Lima's Colonial-era churches. Explore the streets of Barranco, an artsy neighborhood with more than 15 galleries, once a seaside resort for Lima's upper class. Then try the tasting menu at Central, recently named the 4th best restaurant in the world in a list sponsored by San Pellegrino. Or sample the entrees at Rafael, a favorite dining spot for writer Mario Vargas Llosa, run by Lima celebrity chef, Rafael Osterling. Hotel B, the only Relais & Chateaux property in Lima, is perfectly situated in a 17-room estate in Barranco. Sitting at 11,000 feet, Cusco, the former Inca Capital, is packed with historical and archeological wonders, interwoven with 500-year old European churches. Walk down the stone streets into the vibrant Plaza de Armas past the extraordinarily crafted Temple of the Sun and you're transported to another area, one that blends pre-Columbian and colonial history. 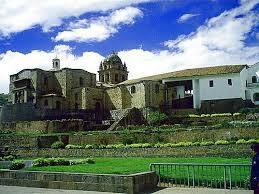 It's the gateway to the Lost City of Machu Picchu via the Sacred Valley of the Incas. On the rugged mountain slopes northwest of Cusco, the Sacred Valley is a beautiful stretch of small villages and ancient ruins spread across a broad plain. 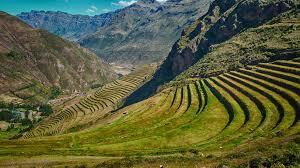 The Incas built several of the empire's greatest estates, temples, and royal palaces between Cusco and Machu Picchu, positioned like great bookends at the south and north ends of the valley. Along with Cusco and Machu Picchu, the Valle Sagrado is one of the highlights of Peru and is really beginning to take off as a destination on its own, rather than just an add-on to Cusco or Machu Picchu. Try to spend at least 1 full day here. Beckoning at the end of the line, of course, is Machu Picchu. The most celebrated ruins in South America and a place that retains its mystery, allure, and spectacular beauty despite its enduring (and still growing!) 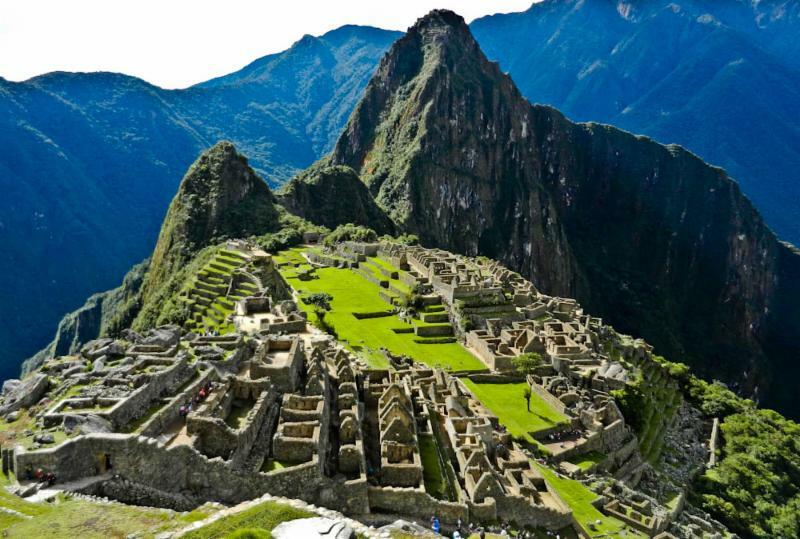 popularity, Machu Picchu is one of the most dramatic places on earth, one that holds a mystical appeal for visitors. The classic route to Machu Picchu is via the Camino Inca (Inca Trail). Hiking the trail requires 4 days of pretty tough trekking across mountain passes, but the experience is unforgettable. For those who want more comfort, we love the Inkaterra properties in this region. They offer ultra-sybaritic lodging in stylish settings with excellent dining at night. Macaws, caymans, jaguars, and 13 types of monkeys can be found in the world's largest rainforest. 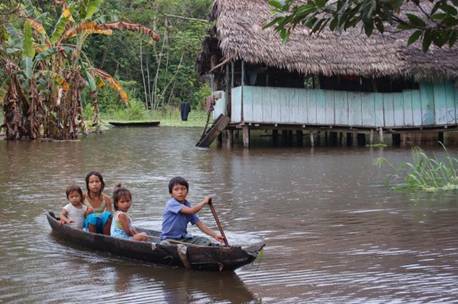 If you prefer a river cruise, head to Iquitos, the gateway to the northern Amazon of Peru. Puerto Maldonado in the southern Amazon is better suited to the more intrepid who want to hike and paddle. 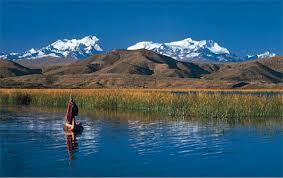 Located in eastern Peru, close to the Bolivian border, Lake Titicaca is the highest navigable lake in the world. T he rugged, snow-covered peaks of the Cordillera Real loom over the serene waters of the lake. A highlight of a trip is Isla del Sol, the birthplace of the Incas, featuring Incan ruins and islanders who go back countless generations. 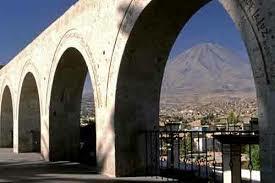 In the southern part of Peru, Arequipa is known as "The White City," due to the white volcanic rock that covers the town. This beautiful colonial city is the gateway to Colce Canyon, one of the deepest canyons in the world, and home to the best condor viewing in the country. 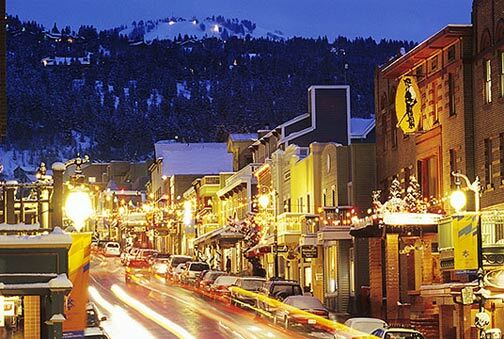 One of our favorite ski towns is Park City, Utah. We are not alone, as Conde Nast Traveler judged it #1 for Friendliest Cities in the US. Now we have even more reasons to love it. After a $50 million dollar renovation, including a new high-speed gondola called Quicksilver, Park City Ski area and the Canyons are linked. Now the largest ski area in the United States, Park City Mountain Resort includes over 7,300 acres, 300 plus trails and 41 lifts! Want to take a quick jaunt for a long weekend of skiing? Here's a great tip. Sundance Film Festival, which usually takes place over MLK Weekend, is being held a week later in 2016. So, travel between January 15-18 will be a great time to check out the slopes. Remember that Park City is only a 40-minute drive from the Salt Lake City International Airport. Take an early direct flight from the East Coast and you'll be on skis by noon. The latest hotel to make its debut is the 122-room Hyatt Place Park City, minutes away from the ski area. Though you'll have to wait until it opens its doors on February 1st to check it out. 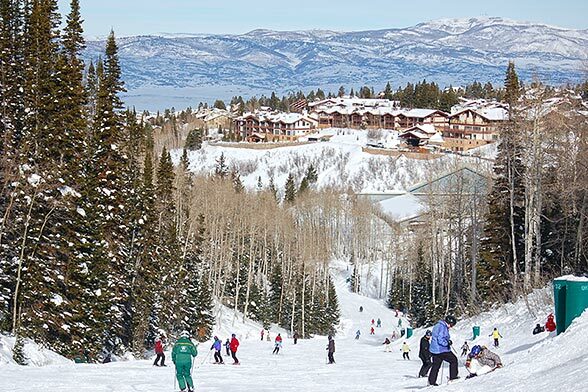 The Waldorf Astoria Park City, the first ski-in, ski-out Waldorf property, lies at the base of the Canyons ski area. The 176 rooms and suites all have fireplaces, balconies, and exquisite vistas of the peaks. The Golden Door Spa will work out any kinks you have after a day of carving that perfect turn. Hotel Park City is a favorite of our clients. It's now part of the Marriott Autograph Collection of hotels, which means it's not your typical Marriott. It's more independent and authentic to the region as opposed to the standard Marriott style. They have patterned themselves off of an old world Alpine ski lodge with all the modern amenities. Their spa is also awesome. 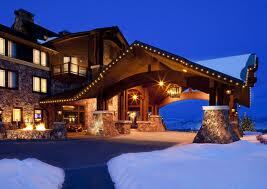 Montage Resort, known for its spectacular property in Laguna Beach, is now located at Deer Valley. The 13-story mega-lodge offers easy access to three high-speed chairlifts. Or you can snowshoe over to the Empire Canyon Lodge for a hearty dinner of raclette, steak, and white chocolate Grand Marnier fondue. 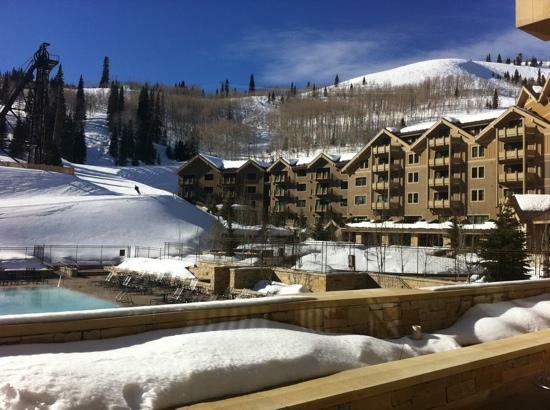 Deer Valley offers several types of places to stay but our favorite is the Lodges at Deer Valley as it is right in the thick of things and extremely convenient and comfortable for families. Stays in their beautiful multi-bedroom condominiums include complimentary roundtrip shuttles to and from the airport, onsite lift ticket sales, easy access to the slopes and Main Street, and free wifi. Few people know the rivers of Idaho better than Peter Grubb, owner of Idaho's largest adventure travel company, ROW Adventures. They run more trips on more rivers than any other outfitter in the state. 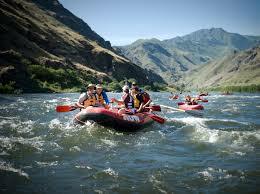 Home to the Snake and Salmon Rivers, Idaho has long been associated with rafting. Grubb's other obsession is the Galapagos Islands, where for the past two decades, he's been running land-based multisport trips for all, including children ages 7 and older. 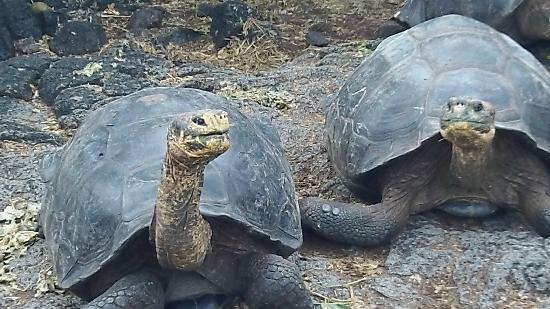 Some 200,000 people arrive on the shores of the Galapagos Islands each year and now close to half of those visitors choose a land-based tour instead of the typical cruise. This was the way our family traveled to the Galapagos Islands the summer of 2013, staying at two islands, Floreana and Isabela. The advantage over a cruise is that you're not traveling everywhere with a large group of people and you're meeting locals, many of whom have spent their entire lives on the islands. 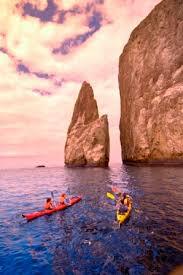 You also have more time to hike and bike around the islands past century-old tortoises, and the chance to snorkel at protected coves with friendly sea lions and few other people. If you're a travel geek like I am, you may want to check out the website www.traveltip.org. I was perusing it as I wracked my brain trying to come up with a new travel tip to write about. I got sidetracked, though, a malady that strikes often when I'm trying to do something useful and productive. I found a very cool tool on this website. You can create a map of all the countries that you've visited. Once you tick off each country, a map appears highlighting in red all the places you've been and the number of countries you've journeyed to. Yes, it's slightly simplistic and kind of intuitive, but when you look at a world map and see all the areas you've never stepped foot on, it gives you perspective. Create a login and you can tick off countries as you go. It's a great way to get started on that bucket list! Iceland has become increasingly popular in winter as more and more travelers try to check the Northern Lights off their wish list. 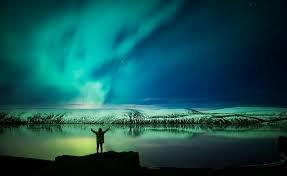 While it's certainly not a guarantee, you have a good bet to see the Aurora Borealis in the clear Iceland night sky. With two airlines now offering a 5-hour direct flight from the East Coast, it's never been easier to get to Reykjavik. Iceland Air is offering a 4-night Aurora Adventure package that includes international airfare, two nights hotel in Reykjavik, 50-minute flight to the fishing village of Hofn in the southeast, two nights hotel in Hofn, and daily breakfast. Cost starts at $1455 per person. If you just want to simply visit Reykjavik, Iceland Air offers international airfare, a 3-night stay in Reykjavik, a Northern Lights boat tour, and round-trip transfers to that massive geothermal hot tub, the Blue Lagoon. Cost starts at $735 per person. Let us know!